After our usual Sunday dinner of Chinese take-out, on Monday we discovered that we did not have chicken left in the freezer for Chicken Monday! So I defrosted a flank steak that John marinated and grilled while I steamed new potatoes and some lovely haricot vert that I found at the farmers’ market on Saturday. 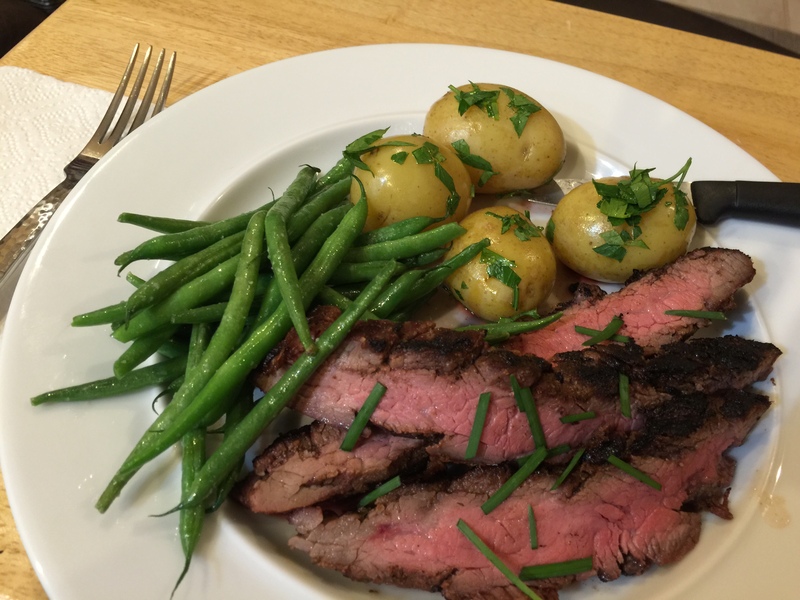 This entry was posted in Beef, Vegetables and tagged flank steak, Haricot vert, new potatoes. Bookmark the permalink.